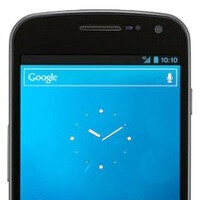 If you are among the crowd of Android fans patiently waiting for the Samsung Galaxy Nexus to launch in the U.S., December 9 may be the day you need to mark in your calendars. According to a leaked document, which supposedly comes from an authorized Verizon retailer, the smartphone will be available for purchase nationwide this coming Friday. 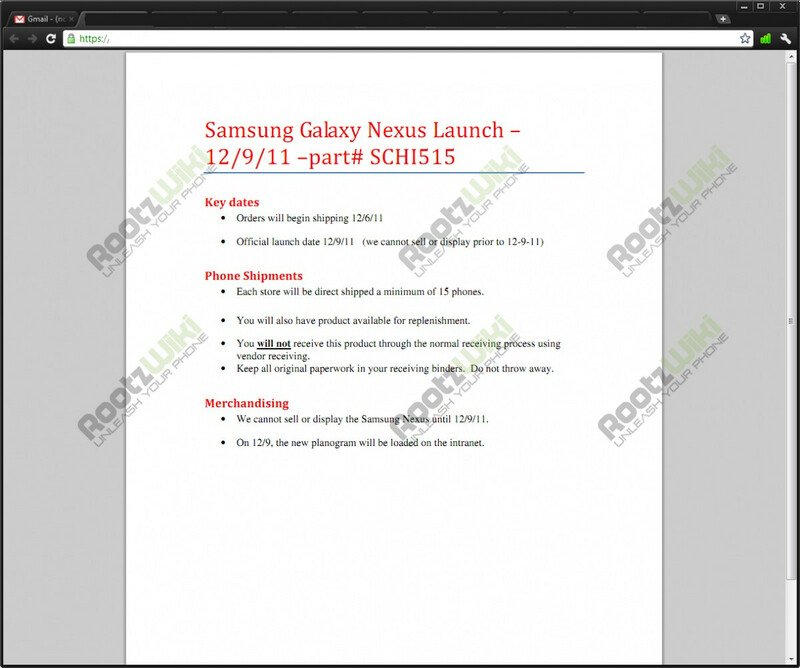 The leak also reveals that Galaxy Nexus units will be headed towards stores on December 6, and a minimum of 15 phones is what each outlet will be supplied with. 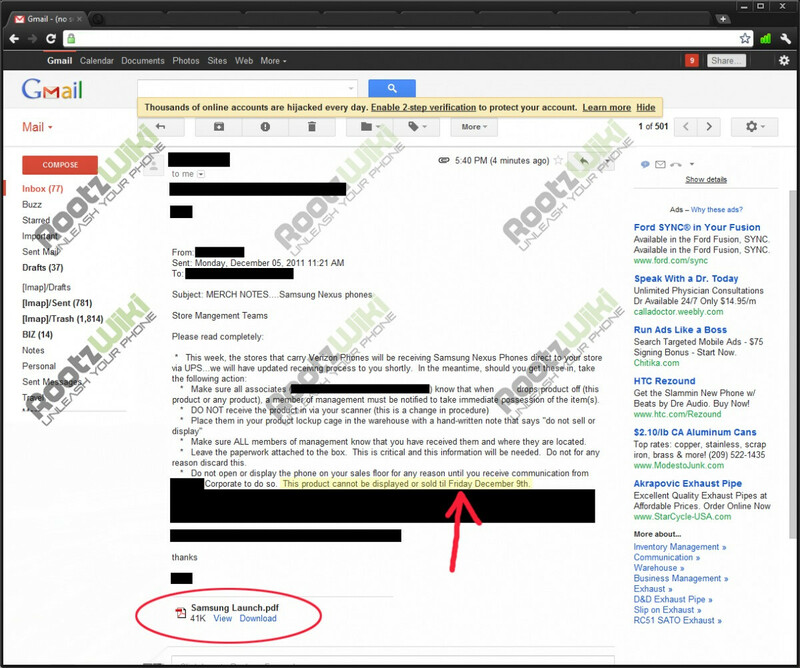 Of course, whether the leaked document is genuine or not is hard to tell, but a December 9 release date for the Galaxy Nexus seems credible. We know that accessories for the smartphone are already being sold, there is a fully working unit on display in New York City, and at least some Verizon stores seem to already have stocks of the device in their storage rooms. Unfortunately, an on-contract price for the Galaxy Nexus is nowhere to be seen, but it would be a safe bet saying that it will be in between the $200 and the $300 mark. Im playing with this phone right now ... totally amazing! ICS is like a whole new OS ! It was probably a joke, man. not the 6... its the 4 coming out in the next week or two. the droid 6 should be around this time next year if they keep with their historical release patterns (2yrs = Droid 4). keep seeing/hearing two diff prices. Could they both be right, one for the 16GB and one for the 32GB. and if they are stocking the stores with the phones on the 6th, how many will crack and sell the phoes early. Doesn't it seem a little weird that two days before the launch of this phone and there is still no official word? Even if it's the 9th or 11th wouldn't you think they would have said something by now? I'm beginning to think that early 2012 might be a little more practical. Yeah I think this is just a troll campaign. Maybe some people on 4chan are bored and are releasing fake leaks incrementally... LOL I'm thinking no sooner than 12/31/2011 but I'd LOVE to be proved wrong. I was trying to use the Nav on my Droid 1 yesterday and was struggling with the lagging and freezing for about 15 minutes (while en route of course) and nearly broke the thing.